Running a WordPress blog seems so simple. You can just write articles, add images and create a lot of content. In theory, this is all you really need since we all love high quality content. The problem is that because of the huge competition in the industry at the moment we are faced with many problems in ranking the sites that you run. You need to do all that you can to increase the possibility to rank higher in search engines and even in social media since most people have accounts on those networks. Many methods can be used and there is no recipe that has been proven to work all the time. With this in mind, you should always consider every single strategy that could have a high success potential. Those below are among the easiest to use and the results can always be really good. It is really important to use an SEO plugin in WordPress. While the CMS system itself includes a great structure that will build a site that is optimized for search engine rankings, this does not mean that it is the best possible option. You will always be able to improve on-site and off-site SEO. The SEO plugin is the one that is suitable for on-site work. Options like Yoast help the site because it allows the user to add extra snippets that are read by the search engines to better understand exactly what the page is about. That will help increase ranking by adding more useful text and automatically optimizing most of the site. If you do not use the plugin you will surely have lower rankings than what could be obtained. A big part of rankings is connected to branding these days. It is important to have unity on social media and on the WordPress website. This is much more than just using the same logo on every single online resource. For instance, in the event that you use Templafy to have branded documents in the office, something similar needs to be utilized when you create the overall design of your WordPress site. If you do not take such an approach you would be faced with online properties that cannot be used together for a proper online marketing campaign. This is by far one of the most important things to remember at the end of the day when you want to rank your site. You want to learn what your target audience wants to read. That is what you should offer. For instance, if you have a health blog and people are interested in the advantages of drinking green tea, you need to write the best possible article about this. 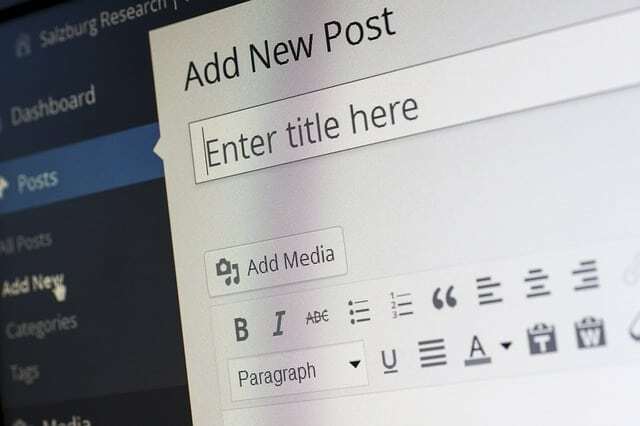 The quality that you highlight through the articles you post on your WordPress blog will always dictate overall growth. When you do not offer what people want to read, you do not get shares and the interaction that major search engines want to see.